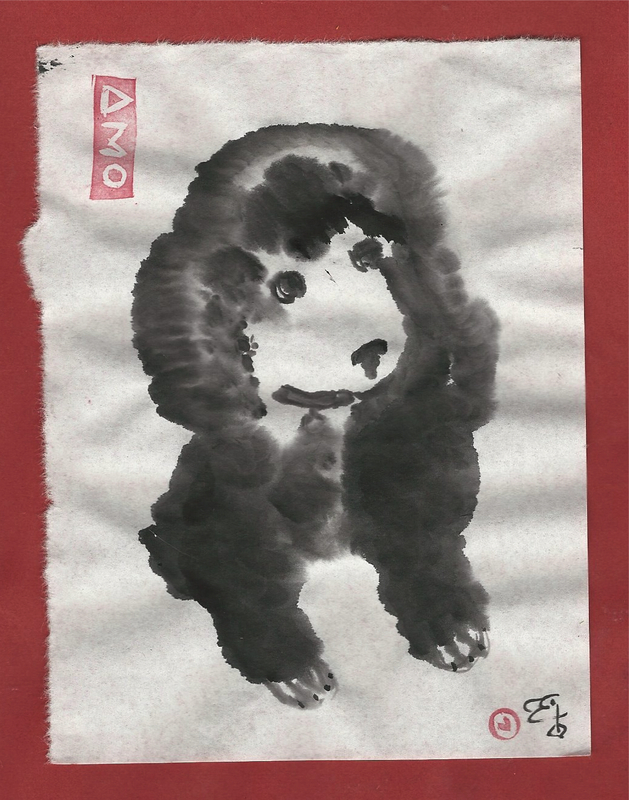 my first dog was a small black bundle of poodle. I named him Captain Timothy Carver, and called him Tim. Love never dies, even if people you love do. This entry was posted in Animal assisted therapy, animal facilitated chaplaincy and tagged adopted poodle, animal assisted chaplaincy, animal facilitated chaplaincy, curiosity, desire, dog, Elizabeth Teal., grief recovery, healing, hope, ink brush painting, interfaith, interspecies spirituality, interspirituality, jumping rope, love, mysticism, poodle puppy, remeberance, spirituality, sumi-e, tao, theology, wisdom, zen. Bookmark the permalink.